Could a teen's double tap on an alcohol-fueled Instagram post be a sign of more troubling patterns off the phone? As a majority of U.S. teenagers are connected to multiple social media platforms throughout the day, a group of Penn researchers delved into the relationship between alcohol-related social media posts and real-life consumption, publishing the first findings in "Alcoholism: Clinical and Experimental Research" this week. 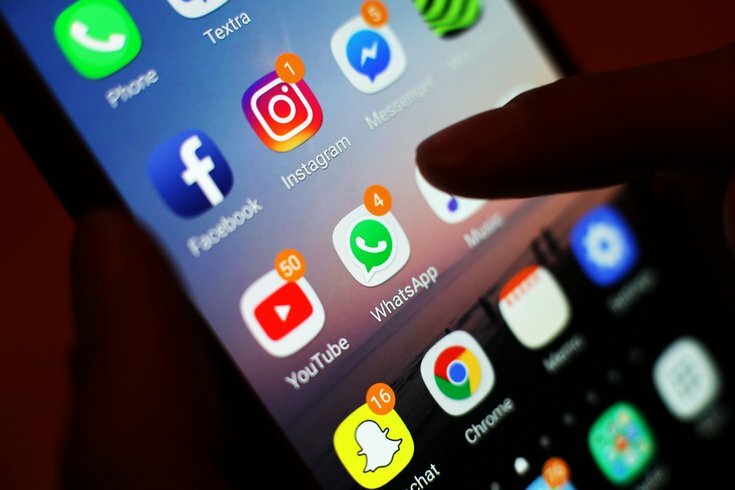 Researchers led by Dr. Brenda Curits, an assistant professor of psychology at the Perelman School of Medicine, began research with 19 articles of data conveying the social media habits of 9,000 different users across Facebook, Twitter, Instagram, and Snapchat. First, researchers look at young adults' interactions with alcohol-related posts – liking, posting, or commenting on alcohol-related content either connected to their peers or public figures and celebrities. Those users also were assessed based on their own drinking behaviors, including blacking out or getting injured while drinking. "Substance abuse, particularly alcohol, is frequently displayed on social media sites – this normalizes drinking for teens and young adults," Curtis said to Penn Medicine News. "To date, reviews have considered drinking behavior in relation to risky behavior, such as binge drinking, or advertising content, rather than focusing on alcohol-related social media management. This meta-analysis allowed us to examine the relationship between alcohol-themed social media activity and alcohol consumption or alcohol-related problems in young adults." In each of the 19 articles studied, Curtis and her team found a significant correlation between engagement with alcohol content and real-life alcohol consumption, as well as alcohol-related problems. This initial study is not a conclusive connection between the two, however. Curtis said more research is needed to better understand the effects that not only social media posts have on alcohol consumption, but also the effects of alcohol-related content marketing on social media, as well.